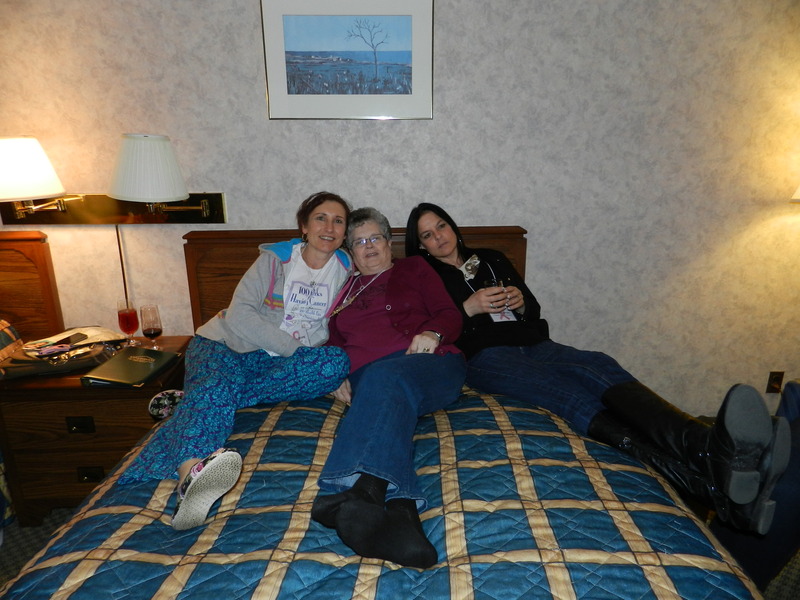 Paula Tessier | The Perks of Having Cancer! “Miss Strang, can we have a News Team meeting tomorrow?” asked one of my favorite, 10 year old, Jamieson Academy news reporters. “Sorry, I won’t be in school tomorrow, I have to give an important speech to a big group of School Administrators”, I replied. “What’s your talk about?” asked my inquisitive reporter. “Oh! So then you are a motivational speaker!” he said. Me? A motivational speaker? I hadn’t thought about it that way before. When did that happen????!!!!! When I started blogging “The Perks of Having Cancer”, back in October, 2011, it started off as a little project to keep my spirits up during my treatments for cancer. I had no idea at that time where this “little project” would take me, and how my life would change as a result of it. I soon discovered that not only was it cheering me on my cancer journey, but others were finding hope and inspiration from my words as well….many others in fact. By May, 2012, after having blogged about 75 of the perks, and unsure as to whether I would actually reach my goal, I was offered my first public speaking gig. It was at the Canadian Breast Cancer Foundation’s annual retreat. Paula Tessier, the Provincial Co-ordinator, asked Me… (can you believe it? ME! )…to speak to a group of about 200 women about my blog. My first response was, “Are you nuts, Paula? I can’t do that! I’m not a public speaker.” However with a little coaxing, Paula convinced me to make my public speaking debut. I was nervous as hell, but I kept remembering the words that my father taught me as a child, “Do what you fear and your fear will disappear!” So, if Dad was right, by confronting my fear of public speaking, I could overcome that very fear. That made sense, and besides, I had faced cancer head on, so I reasoned that nothing could be scarier than that. I took the plunge. I could barely eat a bite as I sat at the evening banquet, waiting to be called to the podium to speak. What if I get up there and go blank? What if I faint? What if I puke on stage? All of these thoughts were going through my mind as I made my way to the podium. When I got there, I took a deep breath and dove right in, telling stories from my heart, laughing at times, crying at others. As I looked into the sea of faces in the audience, I was surprised to see that they were laughing along with me, and crying along with me. I was hooked! In that moment, a motivational speaker was born. I have since spoken to thousands of people about my experiences, through keynote addresses, presentations and workshops, along with t.v., radio and magazine interviews. In a relatively short time, this has become second nature to me. It never ceases to amaze me how life can take us in directions we never dreamed possible! Back when my blog first started to take off, I recall my friend, Michelle, saying, “I’ll bet we’ll see you doing a Ted Talk someday.” I laughed heartily. I mean really, a Ted Talk is the holy grail of public speaking. When I think of Ted Talkers, I think of icons like Bill Gates, Tony Robbins, and Steve Jos, not little old Florence Strang from Lawn, Newfoundland! But then, lo and behold, I heard of a Tedx Talk happening in St. John’s in May (TEDx events are planned and coordinated independently, under a license granted by TED.) I put in my application, got an audition, and got picked! 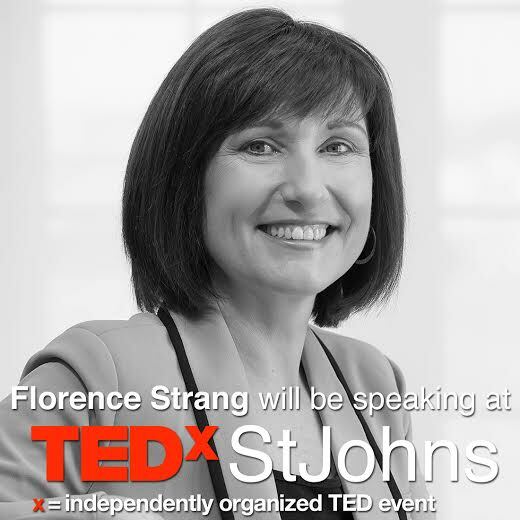 So on Wednesday, May 7th, I will be taking the stage at Tedx St. John’s. Am I scared? You bet! Will my fear stop me from doing it? Not a chance! According to the Wall Street Journal, public speaking is the number one fear of people in North America. Death is number two. In other words, if you were going to a funeral, you would rather be the one in the box than the person giving the eulogy. 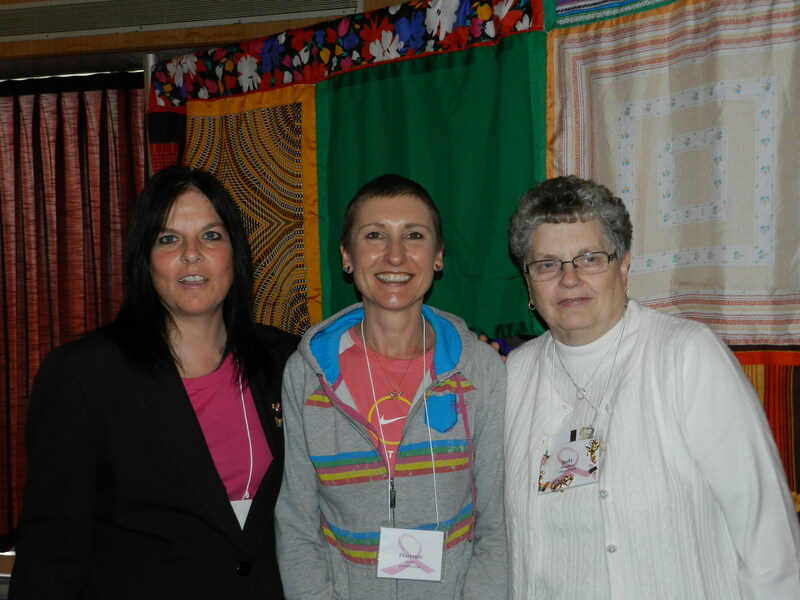 In January, when Paula Tessier, (Provincial Coordinator for the CBCF), invited me to be guest speaker at this year’s Provincial Annual Retreat, I wasn’t sure that I would have the nerve to do it. While I had experience with public speaking, my skills had gotten a little rusty in my time away from work, and the thought of giving a speech to a group of 200 people ranked right up there with bungee cord jumping and running with the bulls. In perk # 83, I spoke of cancer being my new cause with my goal being to spread the word about the benefits of facing cancer with a positive attitude. What better place to promote my cause than with a captive audience of women in various stages of their breast cancer journey. But I wasn’t sure if I would be able to re-confront my old fear. When I was a child, my father taught me these words: “Do what you fear and your fear will disappear.” I reasoned that if I could face cancer head on, then I could certainly take on this challenge. And so I did it! Not only did I give my speech, but….if I do say so myself, judging from the feedback I got afterwards….I ROCKED IT! And Dad was right, now that I have done it, the thought of speaking in public again doesn’t scare me as much. In fact, I have even accepted another speaking engagement for July and I look forward to others as well. 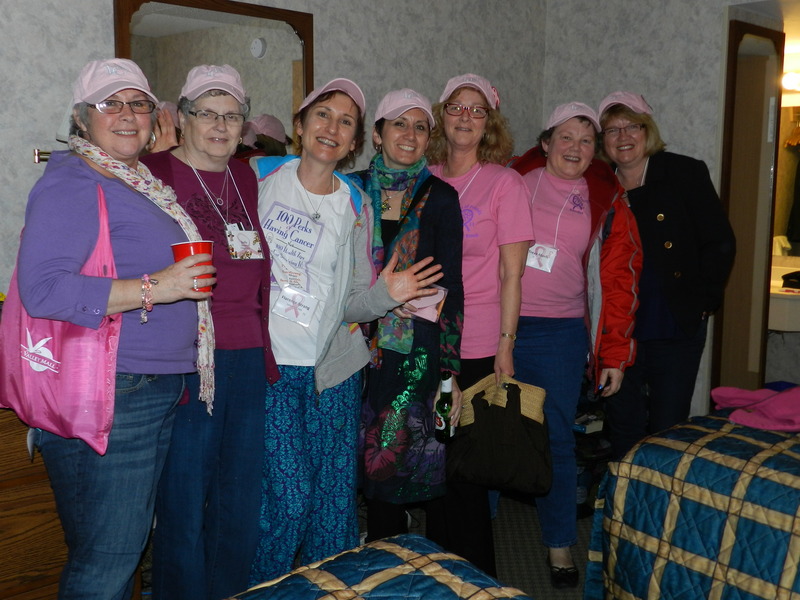 Kudos to Paula and her committee for organizing an excellent retreat. I learned lots of valuable information, and made some new friends along the way. Tip: Do what you fear and your fear will disappear!